"When hate divides, hope remains." Samuel Goldwyn Films has revealed the first trailer for the film titled Gook, which is a derogatory slang word in America used to describe Asians. The film is directed by Korean American filmmaker/actor Justin Chon, and is about two Korean American kids living in Los Angeles in the early 1990s. It's set against the backdrop of the infamous L.A. Riots during 1992. Starring Justin Chon and David So, as well as Simone Baker, Curtiss Cook Jr., Sang Chon, Omono Okojie, Ben Munoz, Cesar Garcia, Isaiah Jarel, and Kirlew Vilbon. This first premiered at the Sundance Film Festival this year, where it won the Audience Award in the low budget Next section. This is a very cool first trailer, I dig. Eli (Chon) and Daniel (So) are two Korean American brothers that run their late father’s shoe store in a predominantly African American community of Los Angeles. These two brothers strike up a unique and unlikely friendship with an 11-year-old African American girl, Kamilla (Baker). As Daniel dreams of becoming a recording artist and Eli struggles to keep the store afloat, racial tensions build to a breaking point in L.A. as the “infamous” L.A. Riots break out. Gook is both written and directed by Korean American filmmaker Justin Chon. He made his feature directorial debut with Man Up a few years ago, after plenty of acting working previously. This first premiered at the Sundance Film Festival, where it won the Next section Audience Award. 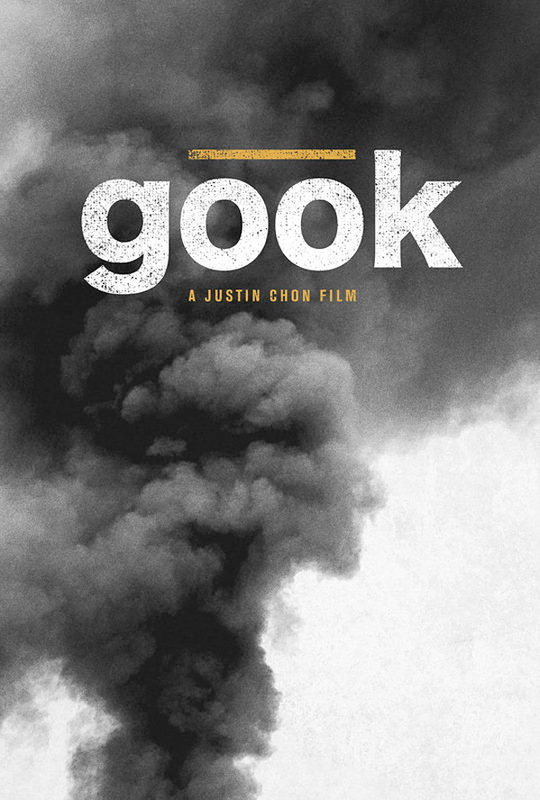 Goldwyn Films will release Gook in select theaters starting August 1st later this summer.